1. 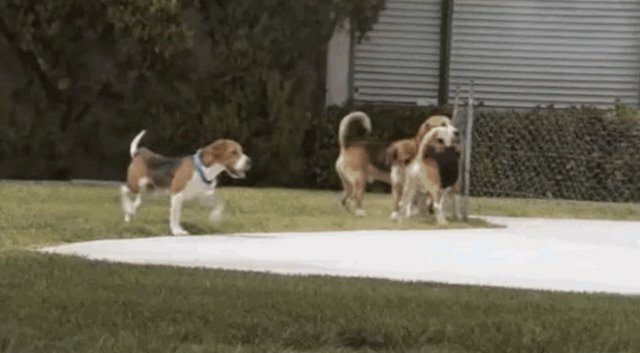 These beagles, who had lived their entire lives in cages, romp playfully in the grass for the first time ever, thanks to the Beagle Freedom Project. 2. These are just a few of the laboratory chimpanzees released to the Gut Aiderbichl sanctuary in Austria. 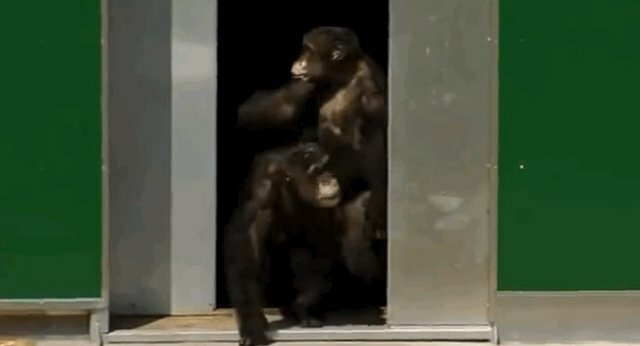 The chimps peer cautiously out at the wide open spaces of the sanctuary before excitedly embracing one another. 3. 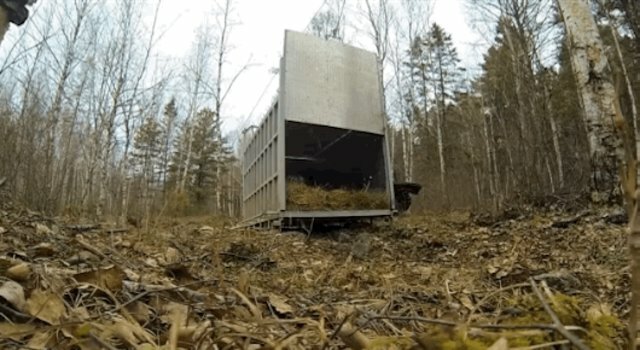 Three orphaned foxes, raised at the Chintimini Wildlife Center in Oregon, slowly take in their new wild surroundings before finally scampering off into the brush. 4. These four orphaned raccoons were rescued by Animal Advocates' Mary Cummins when they were little babies. 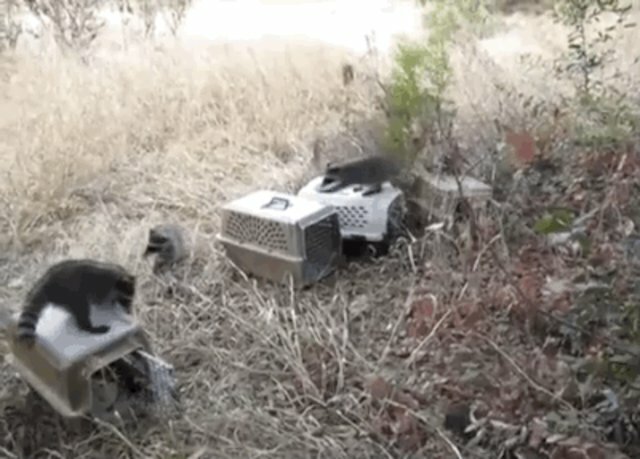 Upon being released where they were found, the mischievous raccoons had some fun knocking over their carriers before setting out into the woods together. 5. 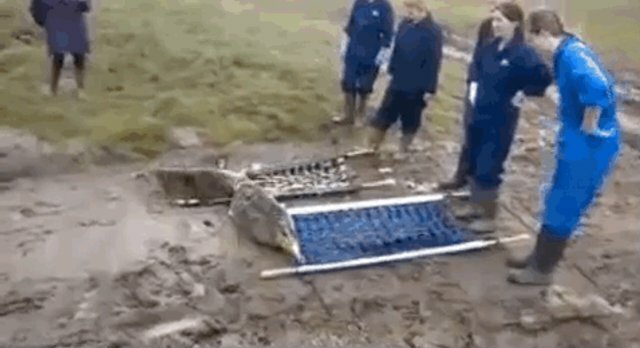 These chubby seal pups were cared for over the course of several months at the RSPCA in East Winch after the Norfolk tidal surge. The pups eagerly made their way toward the water, using the slippery mud to help expedite their homecoming. 6. This extremely rare Siberian tiger, named Zolushka, was rescued as a young orphaned cub by the International Fund for Animal Welfare (IFAW). 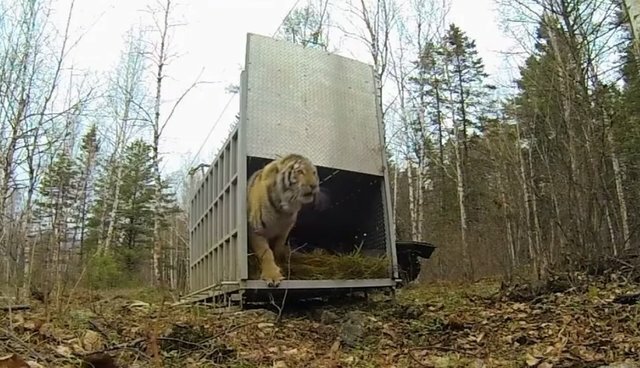 Zolushka made a graceful and beautiful exit upon her return to the wild. According to IFAW, there are only about 400 Siberian tigers remaining in the world.